10 Top Casinos to visit in 2016...without having to go to Vegas! Feelin' lucky? Then you might want to head off to one of the almost 1,700 gambling casinos in America. Whether your game is roulette, blackjack, bingo or the slots, you'll find plenty of exciting ways to take a chance - and maybe win big. The term "casino" is an Italian word that roughly translates to "a building made just for pleasure." While gambling (in one form or another) has been around for thousands of years, the first really famous casino is the Casino di Venezia, which opened in 1638 - and still functions! Gambling in America was illegal until 1931, when it was legalized in Nevada. In 2014, casino revenues in Las Vegas totaled 10.4 BILLION dollars. In recent years, "online casinos" that let you play from home have really taken off: they're projected to take in 3.4 billion dollars in 2015. But if you appreciate the glitz, glamour and energy of a traditional casino, here are some fun places to play - that are miles away from Sin City. Since opening in 1996, Mohegan Sun has become one of the most popular casinos on the East Coast. You can play slot machines and traditional games like poker, blackjack, baccarat and craps, but you can also bet on horse or greyhound racing broadcast from England and Australia. It also features shopping, restaurants and world-class entertainment. In its heyday, the Mount Airy Lodge was the Pocono's biggest resort (famous for its tacky heart-shaped bathtubs). In 2007, it was rebuilt and rechristened as a far more upscale venue. You'll find dozens of table games and slots, but the resort also prides itself on its gorgeous setting. If you need a break, check out their spa, lakefront golf course or fabulous restaurants. Although there are several casinos in the Hard Rock family, at 190,000 square feet, the Tampa location boasts the fourth largest in America. Jubao Palace offers Asian-inspired table games like Pai Gow Tiles, there's a smoke-free poker room and rock star amenities for high rollers. With over 1,000 slot machines, plus video poker and other mechanized games, you'll never get bored. This elegant resort, located in an historic hotel (first built in 1845 and seriously upgraded for modern luxury) also has a 9,500 square-foot non-smoking gaming room with both table games and slots. The Gulf Coast area has become a hugely popular destination for gambling - and this resort is among the top choices. Besides poker, gaming tables and off-track betting, the kid's aren't forgotten: a family fun center offers more G-rated fun like karaoke, arcades and an indoor playground. You'll also enjoy great Louisiana-themed food in its many restaurants. Travel & Leisure named this luxurious resort one of the top 100 hotels in the US, and after a half-million dollar renovation, it's even more spectacular. The 85,000 square-foot casino is one of the most popular in the South, with 24-hour play. There's also a non-smoking casino and a luxurious spa. The enormous casino, contained within a glass dome and under a glorious vaulted roof, will keep you engaged with its plethora of slots and table games. You'll find pretty much any kind of game you like. Kick it up a notch in the "high stakes" poker room - or take a break at the resort's adults-only pool with its swim-up bar. There's no doubt that Nevada, where gambling was first made legal, is home to hundreds and hundreds of casinos. But this one is among the most impressive in the equally impressive Lake Tahoe area. It originally opened in the classic gambler's era of 1955, but has since been renovated several times. 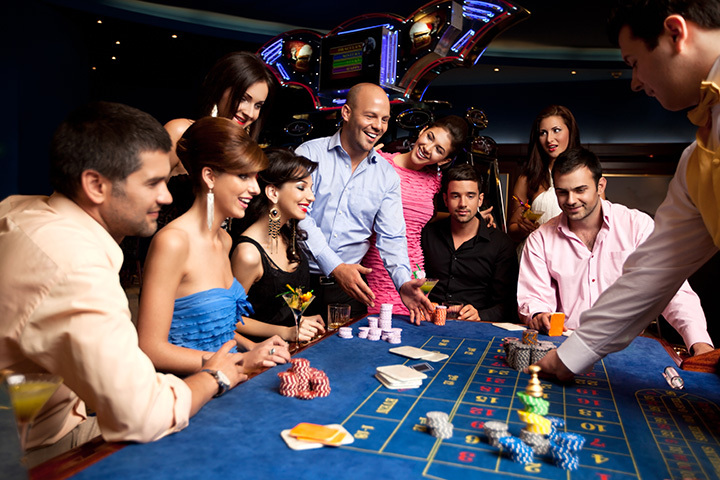 The casino boasts well over 1,000 slot machines, fast-paced table games, roulette and more. If you need a breather, the nearby area offers skiing, hiking, hot air balloon rides, golfing and more. This northern California casino made headlines for having one of the state's biggest progressive slot machine payout - just a little over $12 million dollars! It's a favorite destination for San Francisco gamblers, and offers games for every budget. You can bet as little as a penny-a-pull on some slots, or step inside their elegant "high limit" salons where you bet in the thousands of dollars. It's the largest casino in California, and has been voted "#1" in the U.S. by gambling fans. At 188,000 square feet, the gaming floor is bigger than that of Las Vegas' MGM Grand. Besides 3,400 slot machines, a 700-seat bingo venue and many private, high-stakes gaming rooms, you'll also have access to top-shelf entertainment by artists like Tony Bennett and Smokey Robinson.